Step 1. Take 1 small bowl, mix Calcutta Paan Masala and Crushed Dry-fruits together. Step 2. 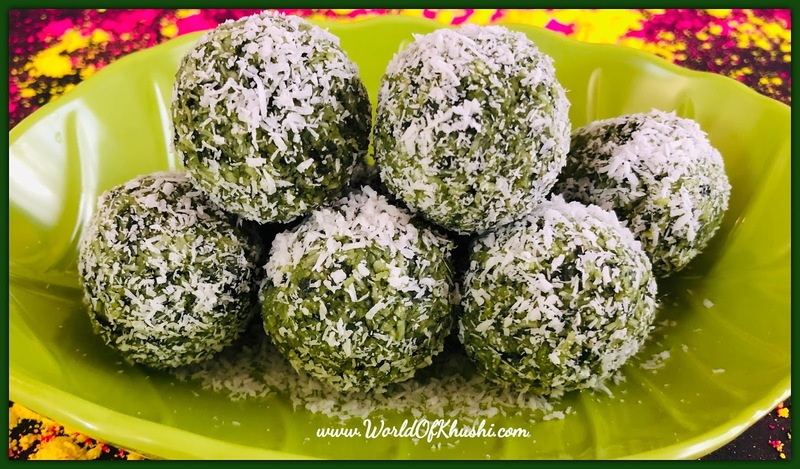 Now take small-small balls of Gulkand and make round balls. Step 3. Press the balls to make Peda (flatten it), then add Calcutta Paan Masala and Crushed Dry-fruits inside the Gulkand. Step 4. Bring the edges of Gulkand together and make small Ball (Ladoo). Step 5. 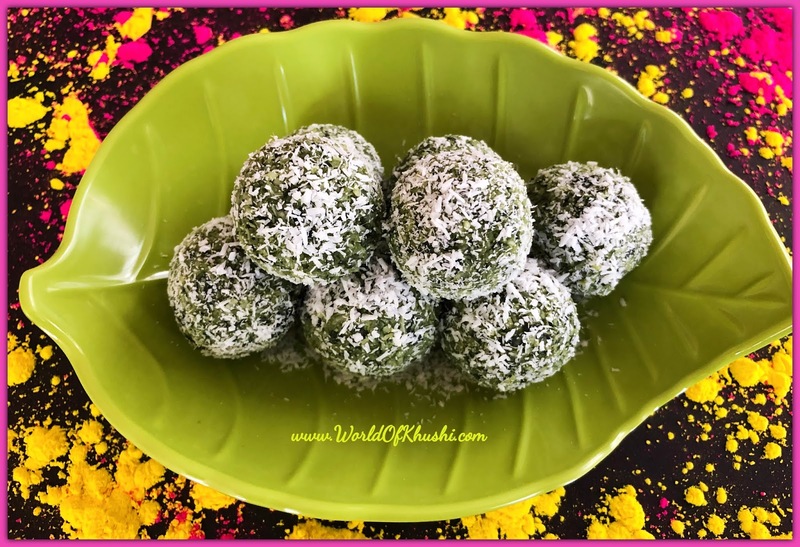 Repeat the same and make all the Gulkand Balls (Ladoo). Step 6. In a Mixer Grinder, add chopped Paan Leaves and grind until it is crushed completely and you get a thick chutney-like consistency. Step 7. Take out the paste in a deep bowl. Step 8. Add Coconut Powder and Condense Milk in the same bowl. Mix everything together. Your Coconut-Paan mixture is ready. Step 9. Take a small portion (little bigger than Gulkand Ball) from the Coconut-Paan mixture. Step 10. Make Peda (flatten it) and insert Gulkand Ball in the center. Step 11. Bring the edges of the mixture together and make big Ladoo (Ball). Step 12. Repeat the same process and make all the other Ladoos. With this ratio, you will able to make 13-15 Ladoo. Step 13. Take a small plate and add 2-3 tbsp of Dry Coconut Powder. Step 14. Roll all the prepared Ladoo one by one in Coconut Powder. This will remove all the stickiness from the Ladoos. Step 15. Your Ladoos are ready! Store them in the air-tight container and refrigerate them. 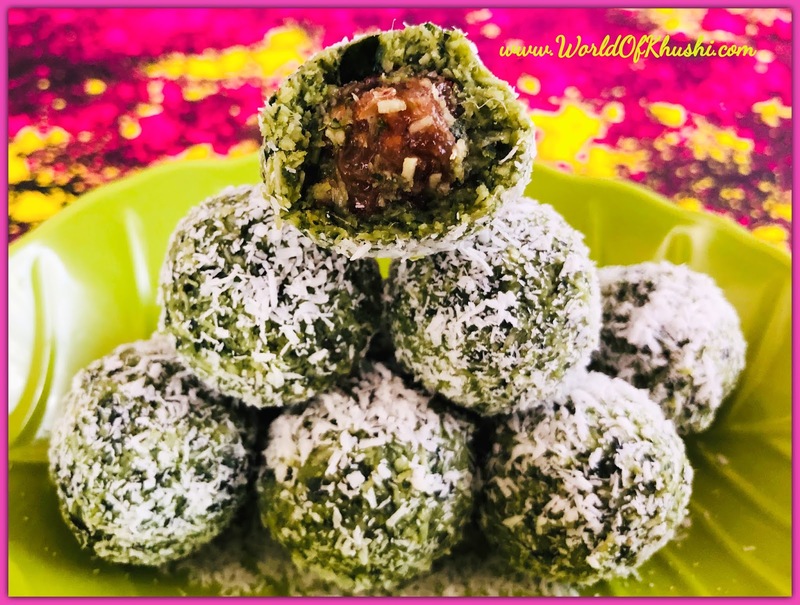 Enjoy this Mouthwatering Paan Gulkand Ladoos! Before serving, remove Ladoos from the refrigerator 5 minutes early. 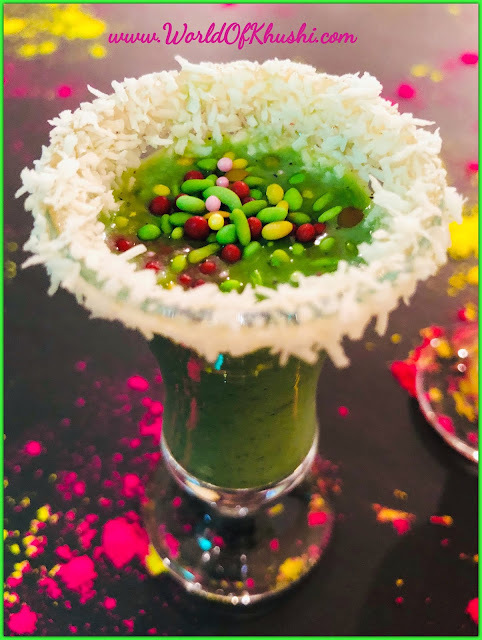 While serving sprinkle some Coconut Powder on top of it, this will look extra special!! Always serve these at the end of the meal!! Note - My Gulkand is very sweet that's why I am using less amount of Condensed Milk. If you like more sweet than add 1/2 cup of Condensed Milk. Do try this Recipe and share your pictures and feedback with me. Also, let me know how you celebrate Holi and what you prepared? ?